I have taken this poem from an unpublished collection of Tamil verses by Guhai Namasivaya that I found in the mid-1980s. Since they are all in the venba metre, they may be some of the verses that Guhai Namasivaya was composing every day as an offering to Arunachala. The title translates as A Garland for Arunagiri. 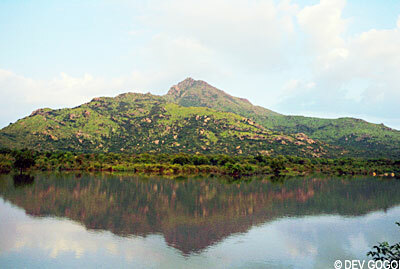 Arunagiri, meaning ‘Red Mountain’, is one of the Tamil names of Arunachala. In whom all good qualities are embodied. My spirit might be seeped. Without you to inspire and guide my every move. They will fulfil my every aspiration. But your own two feet. Of those who meditate upon you! And I reach and dwell at your golden foot? Speak, my Lord? When will it be? That supreme and arduous path. To slough off the burden of former deeds? And wear it as an ornament? In our hearts, Aruna’s eternal Lord! The bejewelled lotus of the foot. Of those who love you! King whose liberality is unfailing! From my own sinful heart. On a day so hard to describe! This head that I have laid at your feet. Lord of Arunachala, provider of sustenance! Of their mind’s wandering and other distinctions? If they have not abandoned the sense of self? And glorify him time and time again. The responsibility lies with the Master alone. You who never come near the hearts of the deceitful! What recourse can there be? Of him who knows no equal? Our inner eye will blossom, my heart of stone! He will be convinced that the answer is impurity. King whose adornments are manifold! From the round of births? Is it to do us harm? Such is the service I now offer you. Without any belief in me? Trust you alone and no other! But what now, my Lord of Arunachala? Who swallowed the poison as it arose! Who is there who could know your form? The only one that knows true sweetness? Our leader who rides a prancing bull. Who can know the form of Arunachala’s Lord? The greatest desire of all? From its beginning to its final end. Condemned in this world and the next. Or for that matter, one atom worse. Will wander ceaselessly upon the earth. (2) This is the benedictory verse. So, following poetic tradition, Guhai Namasivaya invokes the blessings of the elephant-headed God, Ganapati, the deity of auspicious beginnings. (3) Sankara is one of the names of Siva. Yama is the Hindu god of death. The reference to trampling him comes from the story of Markandeya. Mrikanda opted for the short-lived son, who turned out to be a child-sage. On the day of his appointed death, Yama came to collect him. Markandeya cried out to Siva for help and embraced the idol of Siva that he usually meditated on. Yama threw his rope and lassooed the idol as well as Markandeya. This angered Siva, who came roaring down from the heavens, after which he killed Yama with a single blow of his foot. Siva then gave Markandeya a boon that he could be sixteen forever, and thus avoid death, and he also restored Yama’s life. Kama, the God of love, was sent to Siva by Brahma in an attempt to make Siva fall in love with Parvati and marry her. Brahma had foreseen that only an offspring of the two could defeat a demon called Taraka who was threatening the gods. When Kama aimed an arrow of love at Siva’s heart, Siva, who was in samadhi, opened his third eye, which had been focused inside, and burned Kama to ashes with a single look. Siva eventually brought into being Subramania, without any outside intervention, it was he who finally conquered and destroyed Taraka. (4) In the Mahabharata and some of the Puranas Brahma is born form a lotus that sprang from the navel of Vishnu. Mal is one of the Tamil names of Vishnu. (5) This is the sanchita karma, the accumulated karma of former births that still remains to be experienced. (6) Saiva Siddhanta postulates three fundamental entities – God (Pati), the aggregate of all the souls in the world (pasu) and pasa, that which binds the soul to worldliness. 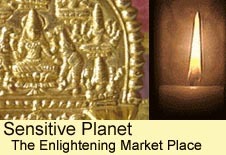 Pasa is also known as malam or impurity and it has three components: (1) Anava – ignorance or egotism that is attached to the soul (2) Maya – the ever-changing matter which makes up manifestation, or the seed from which it arises (3) Karma – the actions that the soul engages in via the body and the mind. These bring about retributive consequences for the performer of those acts: pleasant consequences for the good activities, and unpleasant for the bad. (7) In Saiva Siddhanta the Lord is called Pati. The word for the totality of souls which he looks after is pasu. Literally, this means ‘cattle’. Guhai Namasivaya is saying here that full responsibility for the herd of souls lies with Siva, and not with the individual people. (8) Na, Ma, Si, Va, and Ya, which together comprise Nama Sivaya, which means ‘Obeisance to Siva’. This is the most sacred and powerful mantra for Saivas. (9) A somewhat vague reference. I would guess it refers to Ravana, the demon king of Lanka. (10) Among the gods, Brahma’s principal function is the creation of the world. (11) Siva once cut off one of Brahma’s five heads to punish him for the arrogance of believing that he was the supreme deity. Brahma then cursed him, saying that he would always have to beg for his food, using the skull as a begging bowl. This made Siva very angry, so he went on the rampage, killing thousands of devas in the process. At one point Surya, the sun god, confronted him and tried to make him stop. Siva hit him in the face and knocked out all his teeth. When Siva’s anger had subsided, he restored them all. (12) The two normal eyes of Siva represent the sun and the moon. The third, in the centre of the forehead, symbolises fire. The eyes together represent the three sources of light that illumine the earth, space and the sky. Through his three eyes Siva can see past, present and future, an accomplishment which, as Guhai Namasivaya points out, enables him to transcend time. The central eye is the eye of higher perception. Normally it is directed inwards, but when it is turned outwards, it burns all that appears before it. (13) The devas and the asuras were once churning the ocean of milk, hoping to get from it amrita, the elixir of immortality. At one point a burning mass of poison came out, emanating poisonous fumes. When Brahma requested Siva to help, he responded by swallowing the poison. Though the poison did not harm him, it left a blue mark on his throat. From that time on, one of his names has been Nilakantha, meaning ‘Blue-throated’. When poets address Arunachala Siva, they are not merely conceiving of him in the limited role of the God who appeared there as a consequence of the Brahma-Vishnu dispute. He is, for them, the same Siva who swallowed the poison and who starred in countless other mythic encounters. (16) Sacred ash (vibhuti) is revered in all schools of Saivism. In Virasaivism, the tradition in which Guhai Namasivaya was brought up, eight varanas, or aids to spiritual life, are spoken of. Several of them are alluded to in this and other verses. The varanas are: (1) obedience to a qualified Guru (2) worship of the Lingam (3) reverence for the jangama, the Virasaiva monks (4) the wearing of rudraksha beads (5) the use of vibhuti (6) taking prasad from the Guru (7) purification through water that has washed the Guru’s feet (8) repetition of the sacred five syllables: ‘Nama Sivaya‘. (17) One of Vishnu’s avataras was as Narasimha, a half-man and half-lion form. Narasimha disembowelled the demon Hiranyakasipu, who had harassed the gods. After the demon had been killed, Narasimha was still full of anger and threatened to annihilate the whole universe. Siva appeared in the form of Simbul (in Sanskrit he is known as Sarabha), an eight-legged flying creature. This ‘bird’ dug its claws into Narasimha, lifted him off the ground and killed him. Siva subsequently wore the skin of Narasimha as an item of clothing. (18) This is a play on the Tamil word naa, which can means a tongue, the pointer on a pair of scales and the clapper in a bell. (19) I don’t know the reference here. Though Vishnu and Siva are often portrayed as competing gods, they do not, so far as I am aware, ever use their weapons on each other. (20) The six major cults of Hinduism (shanmata), codified and sanctioned by Adi Sankaracharya are the worship of (1) Siva (2) Vishnu (3) Devi or Sakti (4) Ganapati (5) Kumara (6) Surya, the sun.